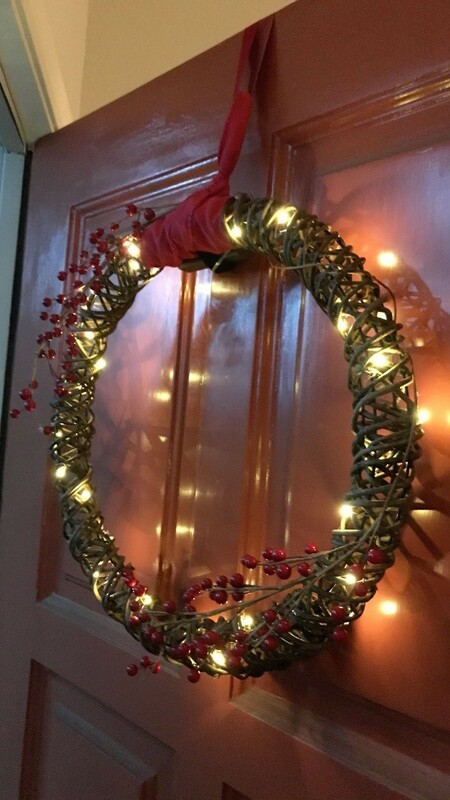 Here is my do it yourself on how to hang a wreath with ribbon and no nails in your door! It is also really quick, taking only about 15 minutes. 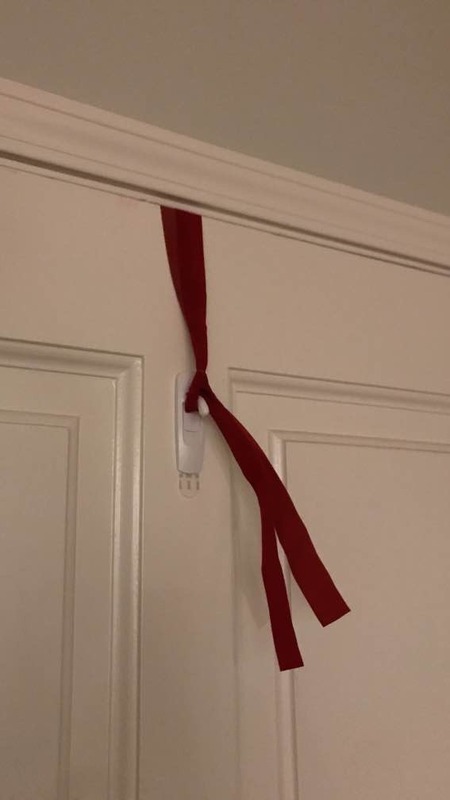 This is perfect if your door does not have enough clearance for a wreath hanger (applies to me), or you don't want to purchase a wreath hanger - ultimately without purchasing a wreath hanger you can save yourself $5-$10. You will just need a wreath, ribbon, and a Command hook. 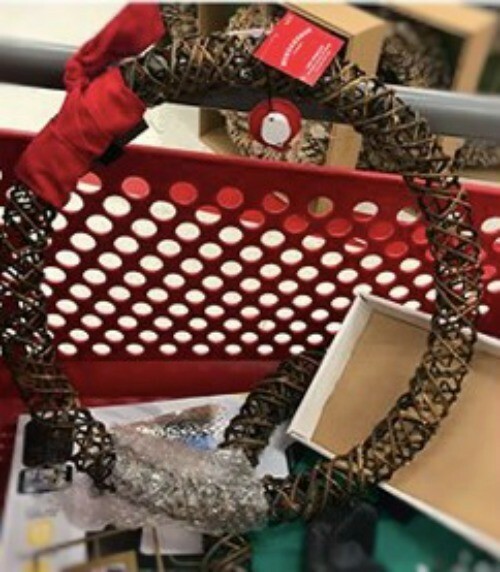 If your wreath does not have a ribbon in the center yet, do that step first. On the inside of your door, you want to stick your Command hook in the opposite direction. Then from the wreath's ribbon, thread in red ribbon and made a knot which will hook onto the Command hook!